News and Events > Should You Choose a Different Business Structure After the Tax Cuts and Jobs Act? Should You Choose a Different Business Structure After the Tax Cuts and Jobs Act? Fortunately, those are the only three choices. Unfortunately, these otherwise simple choices become more complicated when associated with the tax code. As you can probably imagine, one size does not fit all when it comes to tax planning. It never did. And, with the Tax Cuts and Jobs Act, one size doesn’t even fit one size anymore. For instance, if you’re a business owner whose company is structured in any way other than a C-corporation, you might be aware of the new “Qualified Business Income Deduction.” With the Qualified Business Income Deduction, you get to deduct 20% of your flow-through business income on your personal tax return and pay tax on 80% of the business income. Sounds simple, right? This section of tax law has more restrictions and limitations – we’ll call them “weeds” – than Round-Up could ever hope to control, but we’ll keep the explanation that simple to gain a general understanding. If your business is a Sole Proprietorship with no payroll and no assets that nets $200,000 – absent of any “weeds” – you get a whopping $40,000 deduction and pay tax on only $160,000 of your net income. 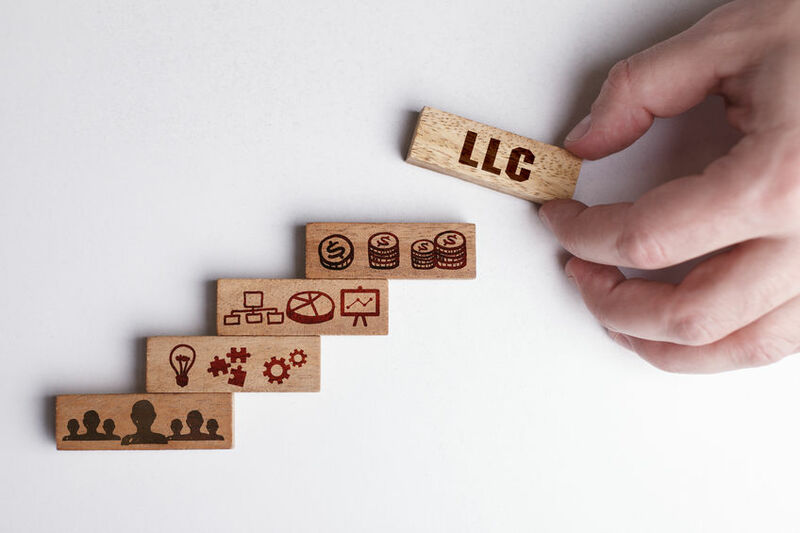 Since a sole proprietorship does not differentiate between the business and the owner, the owner is entitled to take the full $200,000 “out of the business” without any tax consequences. Ah, but now here comes a “weed.” Corporations are required to pay salaries to the owner for the money they take out of the business. Partnerships must classify the money the owner takes out for services as “guaranteed payments.” Both salaries and guaranteed payments do not qualify for the 20% deduction mentioned above. Therefore, if the Corporation or Partnership has the same $200,000 net annual income, and they pay a salary (Corporation) or guaranteed payment (Partnership) of $80,000, then what remains eligible for the 20% deduction is the $120,000 bottom line business income. So, a business organized as a Corporation or Partnership, doing the same exchange for services as a Sole Proprietorship, netting the same annual income, will only qualify for a $24,000 deduction. The only difference between the three? Their business entity structure. And so, one size – each one is a business — isn’t truly one size under the Tax Cuts and Jobs Act. By now you’re probably thinking, the best recommendation would be to structure your business as a Sole Proprietor if your business type allows for that to make sense. Yes, but, what happens when the business is even more profitable than $200,000 per year? Let’s say that in 2019, you net $500,000 (before salaries or guaranteed payments). That’s when the “weeds” really take over, and their explanation would require a dissertation, not a blog post. Take our word for it. With such an increase in income, under the Tax Cuts and Jobs Act, the Sole Proprietor, and Partnership businesses would not qualify for any deduction. And yet, an S-Corporation that is the same business, providing the same services, netting the same income, would qualify for a $62,500 deduction. So, not only is “one size fits all” a thing of the past. “One size” isn’t even “one size” from year to year. What happens when your Sole Proprietorship profit is low one year and high the next? You can’t switch business entities each year based on projected income. So, based on the current realities of the tax code, what is the wisest move for a business owner? Absent any other information, the recommendation would be to do business as an S-Corp.
Let’s find out what entity will be right for you. Contact us online or call 215-723-4881 to schedule a consultation.